The Amazing Spider-Man series is going to be remembered as those interesting but somewhat off Spider-Man films wedged inbetween Sam Raimi's original Trilogy and the MCU Spider-Man. The films were attempting to build out a Sony Spider-Man universe after the advent of the MCU. There were a few problems with the films. First the MCU took a lot of wind out of Spider-Man's sails. Spider-Man fans tend to also be Marvel fans and many of Marvel fans did not want to support a Marvel character existing outside of the MCU. Spider-Man was also a character that had just recieved 3 films and many felt that the character did not have time to breath. Despite those forces the Amazing Films did ok critically and financially. They were not considered break out stars the way the originals were seen though. Then Sony ran into a firestorm of their own making. Sony emails were hacked and leaked to the press and included many emails on Spider-Man. These emails fueled a variety of rumors (Aunt May movie) that ultimately tainted the entire enterprise. Prior to pursuing Amazing Spider-Man 3 Sony pulled the plug. A new Spider-Man actor was hired in Tom Holland and the new films would be set in the MCU. I am long time Spidey fan and have some mixed feelings about the series. There were things I liked about the Amazing films, and things that grated on me. The films in my view overly focused on Spider-Man's parents, the villains were overly stylized and in an attempt to make them realistic often became more cheesey than the originals. I did really liked Andrew Garfield as Peter Parker, and I was curious about where the films were going. Though I did feel that film's seemed to overly focus on the future, and in many ways put the cart before the horse. (Something that the MCU can also do). One question looms when discussing Amazing Spider-Man and that is what would have Amazing Spider-Man 3 been. For all the emails leaked at SONY the details of that film were sparse. Director of Amazing, Marc Webb reveals some of the plans of the series to Den of Geek. This is all pretty interesting, the Gentleman mystery character would have brought back Norman Osborn and Osborn would have put together the Sinister 6. 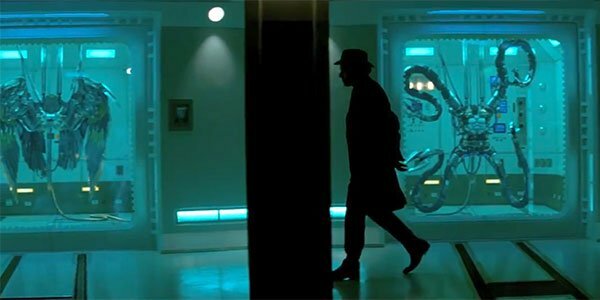 The suits of the Octopus and Vulture were already revealed to be in the possession of the Gentleman character. I will say that I do want to see the Sinister 6 battle Spider-Man. Thats one of the big stories of Spider-Man lore that has not yet to be depicted in film. This film was said to segue toward an all villains Sinister Six film that would have been similar to the Suicide Squad film. I tend to think we will still get a Sinister 6 film it will just be with a different Spider-Man and in a different universe. What do you think of these plans? Do you think we still will see this general direction where a Sinister 6 films spins out of one of the Spider-man films?